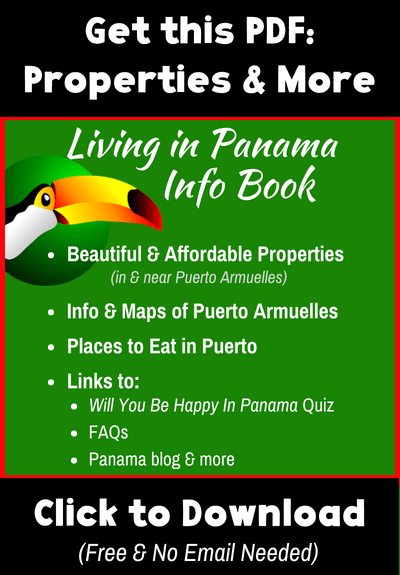 Like anywhere else, in Panama there are tons of things to do and decide when remodeling or building a house. What building materials you will use is a critical one. 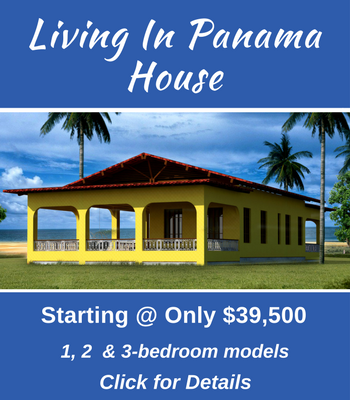 Our readers often ask me about building houses in Panama. I wrote a post about each of these 4 building materials. The links to those posts are at the bottom of this page. Whatever construction materials you use for your house, you need think about your choice carefully. – Is the local labor pool familiar with the material? – Is it easily available? – How about cost? Does the cost of the materials fit your budget? – Are you okay with the cost and schedule of long-term maintenance it requires? – Does the material result in the look you want in your home? – Does it have the structural integrity you need for your design and site location? – Does the material fare well in the tropics? Hopefully, the answer is yes to all of the above questions. If not, make sure you are okay with the extra work and/or cost using your chosen material will entail. One thing you should be careful about, is using building materials or construction techniques with which the local labor is unfamiliar. If you get too innovative, you are likely to lose the locals along the way. Certainly, they will not be as interested in trying a new building experiment as you, the northern immigrant. You are in for a shock, if you came to Panama with ego-driven notions of how you would build, once you had moved to paradise, and with labor day rates that are less than half of what hourly rates are up north. For some of us (I include myself here), this will require that we put our own ego in the “back seat.” If you don’t, you will face a lot of frustration, cost overruns, and disappointing results. For me, after a long period of trying get the local builders to do things exactly, precisely my way, I have come to the conclusion that it is just not worth it. Believe me, I have tried it, many times (I am a slow learner). It just does not work. Or if it works, it is not a happy experience for anyone. There are many wonderful things about the Panamanian people. When taken on their own merits, the people of Panama are kind, peaceful, genuinely warm neighbors, and happy to share their beautiful country with us. However, an intrinsic desire to learn something new, from foreigners no less, is not high on their priority list. It is my opinion that we expats do best when we accept that fact. When we don’t try to impose our own perfectionism and rigid views upon the locals. Our own culture has certainly made plenty of mistakes, and continues to make mistakes and on a global scale. Maybe we are being offered this opportunity to compromise a bit, to be less perfectionistic and judgmental . With this attitude well in mind, you can produce an interesting, good quality, project. A project that you can be proud of. And most importantly, you will build your house in a way that will not make enemies of your new Panamanian friends. Those relationships will be a joy for years to come. 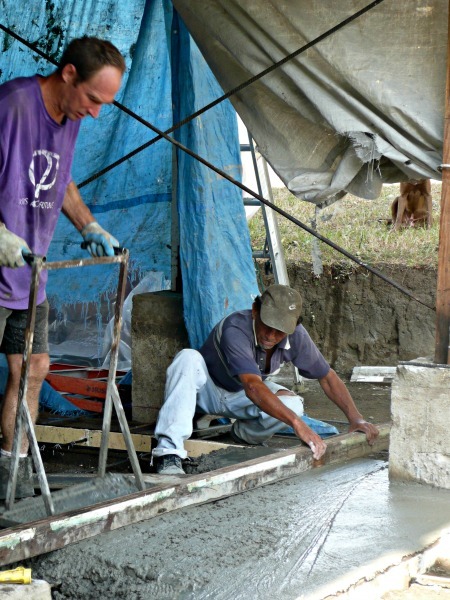 Is concrete my best construction choice in Panama? Should I build my Panama house out of bamboo? I’m in the flooring business in the US. I specialize in Concrete Coatings. I have a friend that wants me to go to Pedasi Panama to stain and epoxy her concrete floors. I would think Panama City would be the best area to find concrete stain and epoxy materials? Or should I have it shipped from the US. Any idea or advice for this projec? Thanks for explaining some things to keep in mind when figuring out what building materials to use. I’m glad you mentioned you should consider if the material will result in the home you want. Perhaps it could be good to study different materials to get an idea of what features they can offer to a home. I really like your suggestion to use traditional building supplies and techniques that the locals are familiar with since they will have more experience with this anyway. My husband and I are planning on creating a new home soon and we’re wondering how to find the best building supplies to use. I will definitely make sure that the materials we end up using are commonly used in the area we place our home so that the local construction workers are familiar with it.